Wheel design of two wheeler is made by using NX 7.5, and Analysis has been done by Ansys 13.0 software to determine the various stresses, strain and fatigue life of the wheel. The software has helped us really to achieve our goal.As the whole analysis is done by the means of software therefore result and observation are trustworthy and meet with our expectation. Keywords: PEEK, FEM, UNIGRAPHICS, ANSYS 13. 1. Ch. P.V. Ravi Kumar, Prof. R. Satya Meher. “Topology Optimization of Aluminum Alloy Wheel”. International Journal of Modern Engineering Research, ISSN: 2249-6645, Vol-3 May-June 2013 pp-1548-1553. 2. Reference Book of Machine Design. R.S.Khurmi. 3. Ruzanna Nadia Binti Nisah, Finite element Analysis of a Motorcycle Alloy Wheel. Generated by Foxit Creator. 4. C.Bosi, G.L Garagnani, R.Tovo (2011). Fatigue Properties of A Cast Aluminum Alloy for Rims of Wheels. International Journal of Metallurgical Science. vol. No.3 p. 660-667. Engineering, ISSN No. 2231-6477, Vol-2, Issue-1, 2012. 6. Alloy Wheel from Wikipedia, the free encyclopedia. 7. Introduction to Plasstic Material. 8. Zeus Technical Whitepaper copyright@2006 Zeus Industrial Products.Inc. 11. N.Satyanarayan, Ch. Sambaiah “Fatigue Analysis of Aluminum Alloy Wheel Under Radial Load”. 12. S.K Biswas, W.A Knight, Perform design for closed die forging: experimental basis for computer aided design Int. J. Mach Tool Des.Res 15 (1975) 179-193. 13. Akgerman, T. Altan, Recent development in computer-aided design of forging process, SME Technical Paper, 1972, pp. 72-110. 14. Liangmo Wang, Yufa Chen –Chenzhi Wang- Qingzheng Wang. Fatigue Life Analysis of Aluminum Wheels by Simulation of Rotary Fatigue Test. Journal of Mechanical Engineering 57 (2011) 31-39. 18. PLASTICS ENGINEERING_ Third Edition_ R.J. Crawford, BSc, PhD, DSc, FEng, FIMechE, FIM_Butterworth H einemann. Abstract: This paper describes the implementation of AXI acquiescent DDR3 memory controller. It discusses the overall architecture of the DDR3 controller; it also discusses the AXI protocol operation. The DDR3 memory controller compares with DDR1 and DDR2 in performance wise. The design is simulated and synthesized on Xilinx ISE 13.2 successfully. 1. Churoo (Chul-Woo) Park, HoeJu Chung, Yun-Sang Lee, Jun-Ho Shin, Jin-Hyung Cho, Seunghoon Lee, Ki-Whan Song, Kyu-Hyoun Kim,Jung-Bae Lee, Changhyun Kim, Senior Member, IEEE, and Soo-In Cho.” A 512-Mb DDR3 SDRAM Prototype and Self- Calibration Techniques” Proc. IEEE JOURNAL OF SOLID-STATE CIRCUITS, VOL. 41,NO.4, APRIL 2006. 2. K. Kim et al, “ A 1.4 Gb/s DLL using 2nd order chargepump scheme with low phase/duty error for high-speed DRAM application ,” in IEEE Int. Solid-state Circuits Conf. (ISSCC) Dig. Tech. Papers, 2004, pp. 212-523. 3. S.Lee et al, “ A. 1.6 Gbs/pin double data rate SDRAM with wavepiplined CAS latency control,” in IEEE Int. Solid-State Circuits conf. (ISSCC) Dig. Tech. Papers, 2004, pp.210-213. 4. H. Song et al, “ A 1.2 Gbs/pin double data rate SDRAM with on die-termination,” in IEEE Int. Solid-State Circuits Conf. (ISSCC) Dig. Tech. Papers, 2003, pp. 314-496. Abstract: Mobile health monitoring it is new technology in mobile health using different type’s sensor. Using sensor measure different values and those values compared to threshold value until single value not reached. That single value is last value, as per last value doctor are suggest how to control your heath. This technique is one of mobile application which helps to generate token for user and give report or result on mobile. Keywords: Token, Trusted Authority, client, Server, Company, Branching, decryption query. 1. Huang Lin, Jun Shaoy, Chi Zhangz, and Yuguang Fang, Fellow, IEEE Tranasctions on image processing vol:8 no:6 year 2013, “CAM: Cloud-Assisted Privacy Preserving Mobile Health Monitoring”. 2. P. Mohan, D. Marin, S. Sultan, and A. Deen,“Medinet: personalizing the self-care process for patients with diabetes and cardiovascular disease using mobile telephony.” Conference Proceedings of the International Conference of IEEE Engineering in Medicine and Biology Society, vol. 2008, no. 3, pp. 755–758. 3. G. Clifford and D. Clifton, “Wireless technology in disease management and medicine,” Annual Review of Medicine, vol. 63, pp. 479–492, 2012. 4. Cavoukian, A. Fisher, S. Killen, and D. Hoffman, “Remote home health care technologies: how to ensure privacy? build it in: Privacy by design,” Identity in the Information Society, vol. 3, no. 2, pp. 363– 378,2010. 5. M. Green and G. Ateniese, “Identity-based proxy re-encryption,” in ACNS, ser. Lecture Notes in Computer Science, J. Katz and M.Yung, Eds., vol. 4521. Springer, 2007, pp. 288–306. 6. S.Al-Fedaghi and A. Al-Azmi, “Experimentation with personal identifiable information,” Intelligent Information Management, vol. 4, no. 4, pp. 123–133, 2012. 7. P. Dixon, “Medical identity theft: The information crime that can kill you,” in The World Privacy Forum, 2006. 8. L. Ponemon Institute, “Americans’ opinions on healthcare privacy, available: http://tinyurl.com/4atsdlj,” 2010. 9. E. Shaw, K. Ruby, and J. Post, “The insider threat to information systems: The psychology of the dangerous insider,”Security Awareness Bulletin, vol. 2, no. 98, pp. 1–10, 1998. Abstract: This paper offers motivations for an electromagnetic active suspension system that provides both additional stability by performing active roll and pitch control during cornering and braking, as well as eliminating road Irregularities, hence increasing both vehicle and passenger safety and drive comfort. 2. A. J. Benson “Motion Sickness” Wikipedia. Patil D. U, Gorepatil P. B, Mane Y. D, Ingle V. S.
Abstract: The groundwater is determined of five tehsil of Osmanabad district of Maharashtra, where samples are under studied for Physico-chemical status of groundwater. In Physico-chemical analysis, the water quality parameters are measured like pH, temperature (T) turbidity (TUB), electrical conductivity (EC), total dissolved solids (TDS), total hardness (TH), content of calcium (Ca+2), magnesium (Mg+2), sodium (Na+), potassium (K+), chloride (Cl-), sulphate (SO4-2), total alkalinity (TA), dissolve oxygen (DO). Physico-chemical studies of twenty groundwater samples from different tehsils of Osmanabad district was carried out during the month of May 2011 and outcome of the results were discussed. Keywords: Physico-chemical analysis; ground water; Osmanabad district; TDS; TH. 1. Nidhi Sexenal, S.N. Mishra, J. Chem. Pharma. Res., 3(2), 2011, pp.162-167. 2. American Society for Testing and Materials, Annual Book of-ASTM Standard, Part-23, ASTM-Philadelphia, 1972. 3. Standard methods of water and waste water analysis, 13th Edn., American public Health Association, Washington, DC, 1971. 4. American Society for Testing and Materials, Annual Book of-ASTM Standard, Part-23, ASTM-Phifadelphia, 1972. 5. R. Gopalan and Amritha Anand, “Environmental Chemistry Laboratory manual" Emerald Publications, 1988, pp. 29. 6. A.l. Vogel, Text Book of Quantitative Inorganic Analysis 2nd edn., Longman & Green Co., London, pp. 191, 1985. 7. APHA Standard Methods of Water and Waste Water Analysis, I6th Edn., American Public Health Association, Washington, DC, 1985. 8. BIS, Standards for Water for Drinking and Other Purposes, Bauru of Indian Standards, India, 1983. 9. WHO, Guideline for Drinking Water Quality Recommendations of World Health Organization, Geneva, 1, 1984, pp. 1-130. 10. M. C. Rand, A. E. Greenberg, M. J. Taras, Standard Methods for the Examination of Water & Waste Water. 14th Edn., American Public Health Association, Washington, DC, 1976, pp. 42-43. 11. W. F. Pickeuiz, Modern Analytical Chemistry, Marcel-Dekker Inc., New York, 1971, APHA-AWWA-WPCP-Standard Methods for the Examination of Water and Waste Water, APHA, 17th Edn., Washington DC, 1989. 12. I. Vogel, Text Book of Quantitative Inorganic Analysis 2nd edition, Longman & Green Co., London, pp. 191, 1985. 13. Shell- Eitra, Encyclopedia of Industrial Ami chemical analysis, 19, 2000, pp.1123. 14. APHA. Standard methods for the examination of water and waste water. 19th Edition, American Public Health Association, American Water Work Association and Water Pollut. Contl. Federation, Washington, D.C., New York, 1995. 15. S. M. Kumar, S. Ravindranath, “Water Studies – Methods for monitoring water quality”. Published by Center for Environment Education (CEE), Banglore, Karnataka, India, 1998. 16. R. K. Trivedy and P. K.Goel, In: Chemical and biological methods for water pollution studies. Published by Environmental Publication, Karad, Maharashtra, India, 1984. 17. J. P. Palharya, V. K. Siriah, Shobha Malviya; Envir Impact of Sewage and Effluent Disposal of the River System, Ashish Publication House, New Delhi, 1993. 18. S. R. Verma, Tyagi A. K. and R. C. Dalela, “Physico-Chemcal and Biological Characteristics of Kadrabad in Uttarpradesh”, Indian J. Environmental Health, 20, (1978), pp. 1-13. 19. S. V. Ganpati, “An Echological Study of Garden Pond Containing Abundant 300 Plankton” Proc. Indian Acad., Sci., 17, 1943, pp. 41-58. 20. L. N. Vyass, H. D. Kumar, Hydrobiological, 31, 1968, pp. 421-431. 21. P. I. Chacko, S. V. Ganpati, Indian Geogr Journal, 24 (3), 1949, pp. 25-49. 22. K. S. Unni, Inst. Revue Ges., Hydrobiol, 70 (6), 1985, pp. 845-856. 23. Srieenivasan, Hydrobiologia, 24 (4), 1965, pp. 514-539. 24. L. N. Vyass, H. D. Kumar, Hydrobiologia, 31, 1969, pp. 421-434. 25. V. Sumatra, Ph.D. Thesis, Madurai University, 1969. 26. P. K. Goel, B. Gopal and R. K. Trivedi, Int. J. Environ. Protection, 5 (1), 1980, pp. 19-25. 27. P. S. Welch, Limnological Methods, Mc. Graw Hill Book Co. Ltd., New York, pp. 381, 1952. 28. BIS, Standards for Water for Drinking and Other Purposes, Beauru of Indian Standards, India, 1983. 29. WHO, “Guideline for Drinking Water Quality Recommendations of World Health Organization, Geneva”, 1, 1984, pp. 1-130. 30. K. Jeevan Rao and M. V. Shantaram, Ind. J. Envi. Prot., 1995, pp. 37-197. 31. S. Bansan, Ind. J. Envi. Prot., 9 (12), 1984, pp. 899-903. 32. D. B. Joshi and Gonzalves E. A., J. Bombay Nat. Hist. Sco., 1946, pp. 154-176. 33. F. Ruttner, Fundamentals of Liminology, University of Toronto Press, Toronto, pp. 242, 1953.34. D. C. Mishra, M. C. Dash, R. C. Das and Krutibash Chaudhari, Poll. Res., 8 (3), 1988, pp. 145-152. 35. K. De, Environmental Chemistry, 2nd Edition, New Age International Publishers, New Delhi, 6th Edition, 2006. 36. S. M. Jain, M. Sharma, R. Thakur, J. Eco. Bio., 8 (3), 181-188, (1996). 37. WHO, International Standards for drinking water, 3rd Ed. Geneva, World Health Organization, 1971. 38. BIS, Indian Standards for Drinking Water, Bureau of Indian Standards, New Delhi, IS: 10500, 1991. Abstract: A natural convection solar greenhouse tunnel dryer was designed and developed for studying and comparing the drying characteristics of sliced cut tomatoes and cube cut tomatoes. Three experimental runs with 30 kgs of tomatoes were carried out in the dryer during the month of June 2014. The performance of the dryer was studied (drying time and product quality) in comparison with open sun drying method. The absolute geometry of cut for the products to be dried was also revealed. It was found that the solar tunnel greenhouse dryer took only 29 hours for reducing the moisture content of sliced cut tomatoes from 90% (w.b.) to 9% (w.b.) and 56 hours for reducing the moisture content of cube cut tomatoes from 90% (w.b.) to 9% (w.b.) whereas the open sun drying took 74 hours and 123 hours for the same. The sliced cut tomatoes were dried at an earlier time than the cube cut tomatoes in both solar tunnel dryer and open sun drying due to the larger area of exposure to surrounding hot air which allowed higher rate of moisture removal from the tomatoes. Thus, the optimum geometry of cut for ensuring quicker drying of tomatoes is the sliced cut of the tomatoes. Also, the quality of dried tomatoes produced from solar tunnel dryer is much superior compared to that of open sun drying. Keywords: Cube cut tomatoes, moisture content, open sun drying, quality, sliced cut tomatoes, solar tunnel dryer. 2. P.N. Sarsavadia, R. L Sawhney, D.R. Pangavhane, and S.P. Singh, “Drying behaviour of brined onion slices”, Journal of food Engineering, 1999, vol.40, pp. 219-226. 3. Doymaz, “Air-drying characteristics of tomatoes”, Journal of Food Engineering, 2007, vol. 78(4), pp. 1291-1297. B. Zanoni, C. Peri, R. Nani and V. lavelli, “Oxidative damage of tomato halves as Effected by drying”, Food Research International, 1999, vol.31 (5), pp. 359-401. 4. J. Shi, M. Le Maguer, Y. Kakuda, , A. Lipaty, and F. Niekamp, “Lycopene degradation and isomerization in dehydration”, Food Research International, 1999, vol. 32, pp. 15-21. 5. Heredia, C. Barrera, and A. Andres, “Drying of cherry tomato by a Combination of different Comparison kinetics and other related properties”, Journal of Food Engineering, 2006. 6. E. E. Abano, L. K. Sam-Amoah ,“Effects of different pretreatments on drying characteristics of banana slices”, Journal of Engineering and Applied Science, 2011, vol. 6. 7. P. J. Fellows, “Food processing technology”, (3rd ed.). Boca Raton: Woodhead Publishing Limited and CRC Press LLC, 2009. 8. P. P. Lewicki, H. Vu Le, and W. Pomarańska-Łazuka, “Effect of pre-treatment on convective drying of tomatoes”, Journal of Foo Engineering, 2002, vol. 54(2), pp. 141-146. 9. Verlent, M. Hendrickx, P. Rovere, P. Moldenaers & A. Van Loey, “Rheological properties of tomato-based products after thermal and high-pressure treatment”, Journal of Food Science, 2006, vol. 71, pp. 243-248. 10. Doymaz, “Drying behaviour of green beans”, Journal of Food Engineering, 2005, vol. 69(2), pp. 161-165. 11. Midilli, and H. Kucuk., “Mathematical modeling of thin layer drying of pistachio by using solar energy”, Energy Conversion and Management, 2003, vol. 44(7), pp. 1111-1122. 12. E. K. Akpinar, Y. Bicer, and C. Yildiz, “Thin layer dryingof red pepper”, Journal of Food Engineering, 2003, vol. 59(1): pp. 99-104. 13. E. K. Akpinar, “Drying of mint leaves in a solar dryer andunder open sun: Modelling, performance analyses”, EnergyConversion and Management, 2010, vol. 14. Arabhosseini, W. Huisman, A. van Boxtel, & J. Müller, “Modeling of thin layer drying of tarragon (Artemisia dracunculus L.)”, Industrial Crops and Products, 2008, vol. 28(2), pp. 53-59. 16. dryer”, Energy Conversion and Management, 2009, vol. 50(5), pp.1348-1355. 17. T. Y. Tunde-Akintunde, “Mathematical modeling of sun and solar drying of chilli pepper”, Renewable Energy, 2011, vol. 36(8): pp. 2139-2145. 18. F. M. Berruti, M. Klaas, C. Briens, and F. Berruti, “Model for convective drying of carrots for pyrolysis”, Journal of Food Engineering, 2009, vol. 92(2), pp. 196-201. 19. Mohamed, M. Kouhila, A. Jamali, S. Lahsasni, N. Kechaou, and M. Mahrouz, “Single layer solar drying behaviour of Citrus aurantium leaves under forced convection”, Energy Conversion and Management, 2005, vol. 46(9-10), pp. 1473-1483. 20. K. Sacilik, R. Keskin, and A. K. Elicin, “Mathematical modelling of solar tunnel drying of thin layer organic tomato”, Journal of Food Engineering, 2006, vol. 73(3),pp. 231-238. 21. J. Mumba, “Development of a photovoltaic powered forced circulation grain dryer for use in the tropics”, Renewable Energy, 1995, vol. 6(7), pp. 855-862. 22. K. Sacilik, R.Keskin, and A. k.Elicin , “Mathematical modelling of solar tunnel drying of thin layer organic tomato”, Journal of Food Engineering, 2006, vol. 73, pp. 231-238. 23. M. Condori, R. Echazu, & L. Saravia, “Solar drying of sweetpepper and garlic using the tunnel greenhouse drier”, Renewable Energy, 2001, vol. 22, pp. 447-460. 24. W. A. M. McMinn & T. R. A. Magee, “Principles methods and applications of the convective drying of foodstuffs”, Food Bio-production Process, 1999; vol. 77(3), pp.175-93. 25. H. P. Garg & R. Kumar, “Studies on semi-cylindrical solar tunnel dryers: Thermal performance of collector”, Applied Thermal Engineering, 2000, vol. 20, pp. 115 – 131. 26. J. P. Fohr & G. Arnaud, " Grape drying: From sample behaviour to the drier project, Drying Technology”, 1992, vol. 10(2), pp. 445-465. R. Rachmat & K. Horibe, “Solar heat collector characteristics of a fibre reinforced plastic drying house”, Transactions of ASAE, 1999, vol. 42(1), pp. 149-157. 27. C. Ertekin & O. Yaldiz, “Drying of eggplant and selection of a suitable thin layer drying model”, Journal of Food Engineering, 2004, vol. 63(3), pp. 349-359. 28. K. Sacilik, R. Keskin, & A. K. Elicin, “Mathematical modelling of solar tunnel drying of thin layer organic tomato”, Journal of Food Engineering, 2005. 30. Energy, 2000, vol. 19, pp. 203-212. Abstract: A natural convection solar tunnel greenhouse dryer was designed and developed for studying the drying characteristics of tomatoes. Three experimental runs with 30 kgs of tomatoes were carried out in the dryer during the month of June 2014. The performance of the dryer was studied (drying time and product quality) in comparison with open sun drying method. It was found that the solar tunnel greenhouse dryer took only 29 hours for reducing the moisture content of tomatoes from 90% (w.b.) to 9% (w.b.) whereas the open sun drying took 74 hours for the same. Also, the quality of dried tomatoes produced from solar tunnel dryer are much superior compared to that of open sun drying. Keywords: Moisture content, open sun drying, quality, solar tunnel dryer, tomato. 1. M. Condori, R. Echazu, & L. Saravia, “Solar drying of sweetpepper and garlic using the tunnel greenhouse drier”, Renewable Energy, 2001, vol. 22, pp. 447-460. 2. D. S. Sogi, U.S. Shivhare, S.K. Garg, & A.S. Bawa, “Water sorption isotherm and drying characteristic of tomato seeds”, BiosystemsC. Tiris, N. Özbalta, M. Tiris, & I. Dinçer, “Experimental testing of a new solar dryer”, International Journal of Energy Research, 1994, vol. 18, pp. 483-490. 4. H. N. Yılmaz, N. Ozbalta, & A. Gungor, “Performance analysis of a solar cabinet drier for tomatoes”, International Conference on Agricultural Mechanisation and Energy, 26 – 27 May 1999, Adana, Turkey. 5. Y. M. Gallali, Y. S. Abujnah, & F. K. Bannani, “Preservation of fruits and vegetables using solar dryer: a comparative study of natural and solar drying, III; chemical analysis and sensory evaluation data of the dried samples (grapes, figs, tomatoes and onions)”, Renewable Energy, 2000, vol. 19, pp. 203-212. 6. Doymaz, & M. Pala, “ Hot-air drying characteristics of red pepper”,Journal of Food Engineering, 2002, vol. 55(4), pp. 331-335. 7. Kaya, O. Aydin, C. Demirtas, & M. Akgun, “An experimental study on the drying kinetics of quince”, Desalination, 2007a, vol. 212, pp. 328–343. 8. Kaya, O. Aydin, C. Demirtas, "Drying kinetics of red delicious apple”, Biosystems Engineering, 2007b, vol. 96, 517-524. 9. Kaya, O. Aydin, C. Demirtas,” Concentration boundary conditions in the theoretical analysis of convective drying process”, Journal of Food Process Engineering, 2007c, vol. 30, pp. 564–577. 10. S. Erenturk, M. S. Gulaboglu, S. Gultekin, “The effect of cutting anddrying medium on vitamin C content of rosehip during drying”, Journal of Food Engineering, 2005, vol. 68, pp, 513–518. 11. H. Nogueira-Terrones, E. Herman-Lara, M. A. Garcia-Alvardo, J. A. Monroy-Rivera, “ Drying kinetics and sorption isotherms of the Nejayote. Drying Technology”, 2004, vol. 22, pp. 2173–2182. 12. S. Simal, A. Femenia, J. A. Carcel, & C. Rossell, “Mathematical modeling of the drying curves of kiwifruits: influence of the ripening stage”, Journal of the Science of Food and Agriculture, 2005, vol. 85, pp. 425–432. 13. S. Cernîşev , “Effects of conventional and multistage drying processing on non-enzymatic browning in tomato”, Journal of Food Engineering, 2010;vol. 96, pp. 114-18. 14. M. Condori & L. Saravia , “The performance of forced convection green house driers. Solar drying of sweet pepper and garlic using the tunnel green house drier", Renewable Energy, 1998, vol. 13 (4) pp. 453-469. 15. W. A. M. McMinn & T. R. A. Magee, “Principles methods and applications of the convective drying of foodstuffs”, Food Bio-production Process, vol. 1999; vol. 77(3), pp.175-93. 16. H. P. Garg & R. Kumar, “ Studies on semi-cylindrical solar tunnel dryers: Thermal performance of collector”, Applied Thermal Engineering, 2000, vol. 20, pp. 115 – 131. 17. J. P. Fohr & G. Arnaud, " Grape drying: From sample behaviour to the drier project, Drying Technology”, 1992, vol. 10(2), pp. 445-465. 18. R. Rachmat & K. Horibe, “Solar heat collector characteristics of a fibre reinforced plastic drying house”, 1999, Transactions of ASAE vol. 42(1), pp. 149-157. 19. P. N. Sarsavadia, R. L. Sawhney, D. R. Pangavhane, & S. P. Singh, “Drying behaviour of brined onion slices”, Journal of Food Engineering, 1999, vol. 40, pp. 219-226. 21. 2004, vol. 63(3), pp. 349-359. Abstract: Password-authenticated key exchange (PAKE) is where a client and a server, who share a password, authenticate each other and meanwhile establish a cryptographic key by exchange of messages. In this setting, all the passwords necessary to authenticate clients are stored in a single server. If the server is compromised, due to, for example, hacking or even insider attacks, passwords stored in the server are all disclosed. In this paper, we propose a browser based security and usage of two servers which cooperate to authenticate a client. Even if one server is compromised, the attacker still cannot pretend to be the client with the information from the compromised server. 1. M. Abdalla and D. Pointcheval, “Simple Password-Based Encrypte Key Exchange Protocols,” Proc. Int’l Conf. Topics in Cryptology (CT-RSA), pp. 191-208, 2005. 2. M. Abdalla, O. Chevassut, and D. Pointcheval, “One-TimeVerifier-Based Encrypted Key Exchange,” Proc. Eighth Int’l Conf.Theory and Practice in Public Key Cryptography (PKC ’05), pp. 47-64,2005. 3. M. Bellare, D. Pointcheval, and P. Rogaway, “Authenticated KeyExchange Secure against Dictionary Attacks,” Proc. 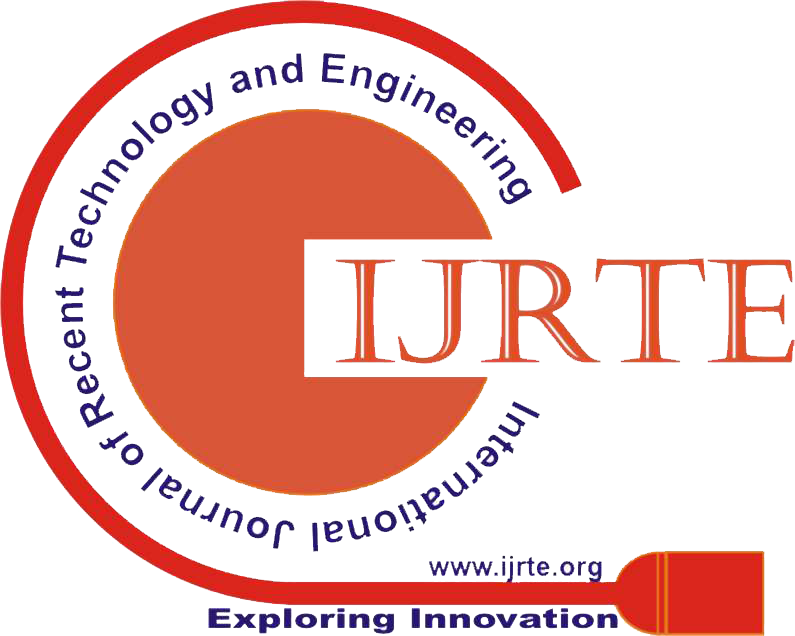 19th Int’l Conf.Theory and Application of Cryptographic Techniques (Eurocrypt ’00),pp. 139-155, 2000. 4. S. Bellovin and M. Merritt, “Encrypted Key Exchange: Password-Based Protocol Secure against Dictionary Attack,” Proc. IEEESymp. Research in Security and Privacy, pp. 72-84, 1992. 5. D. Boneh and M. Franklin, “Identity Based Encryption from theWeil Pairing,” Proc. 21st Ann. Int’l Cryptology Conf. (Crypto ’01),pp. 213-229, 2001. 6. D. Boneh and M. Franklin, “Identity Based Encryption from theWeil Pairing,” SIAM J. Computing, vol. 32, no. 3, pp. 586-615, 2003. 7. D. Boneh, “The Decisional Diffie-Hellman Problem,” Proc. ThirdInt’l Algorithmic Number Theory Symp., pp. 241-250, 1998. 8. V. Boyko, P. Mackenzie, and S. Patel, “Provably Secure Password-Authenticated Key Exchange Using Diffie-Hellman,” Proc. 19th Int’l Conf. Theory and Application of Cryptographic Techniques (Eurocrypt ’00), pp. 156-171, 2000. 9. J. Brainard, A. Jueles, B.S. Kaliski, and M. Szydlo, “A New Two- Server Approach for Authentication with Short Secret,” Proc. 12th Conf. USENIX Security Symp., pp. 201-214, 2003. 10. W. Diffie and M.E. Hellman, “New Directions in Cryptogra- phy,” IEEE Trans. Information Theory, IT-22, no. 6, pp. 644-654, Nov. 1976. 11. M. Di Raimondo and R. Gennaro, “Provably Secure Threshold Password Authenticated Key Exchange,” Proc. 22nd Int’l Conf. Theory and Applications of Cryptographic Techniques (Eurocrypt ’03), pp. 507-523, 2003. 12. T. ElGamal, “A Public Key Cryptosystem and a Signature Scheme Based on Discrete Logarithms,” IEEE Trans. Information Theory, vol. IT-31, no. 4, pp. 469-472, July 1985. 13. W. Ford and B.S. Kaliski Jr., “Server-Assisted Generation of a Strong Secret from a Password,” Proc. IEEE Ninth Int’l Workshop Enabling Technologies: Infrastructure for Collaborative Enterprises, pp. 176-180, 2000. 14. O. Goldreich and Y. Lindell, “Session-Key Generation using Human Passwords Only,” Proc. 21st Ann. Int’l Cryptology Conf. Advances in Cryptology (Crypto ’01), pp. 408-432, 2001. 15. L. Gong, T.M.A. Lomas, R.M. N eedham, and J .H. S altzer, “Protecting Poorly-Chosen Secret from Guessing Attacks,” IEEE J. Selected Areas in Comm., vol. 11, no. 5, pp. 648-656, June 1993. 16. S. Halevi and H. Krawczyk, “Public-Key Cryptography and Password Protocols,” ACM Trans. Information and System Security,vol. 2, no. 3, pp. 230-268, 1999. 17. D. Jablon, “Password Authentication Using Multiple Servers,” Proc. Conf. Topics in Cryptology: The Cryptographer’s Track at RSA (RSA-CT ’01), pp. 344-360, 2001. 18. H. Jin, D.S. Wong, and Y. Xu, “An Efficient Password-Only Two- Server Authenticated Key Exchange System,” Proc. Ninth Int’l Conf. Information and Comm. Security (ICICS ’07), pp. 44-56, 2007. Abstract: One of the driving forces behind the industrial revolution was the invention—more than a century ago—of the electric motor. Its widespread use for all kinds of mechanical motion has made life simpler and has ultimately aided the advancement of humankind. And the advent of the inverter that facilitated speed and torque control of AC motors has propelled the use of electric motors to new realms that were inconceivable just a mere 30 years ago. Advances in power semiconductors—along with digital controls—have enabled realization of motor drives that are robust and can control position and speed to a high degree of precision. he use of AC motor drives has also resulted in energy savings and improved system efficiency. This paper reviews the development and application of inverter technology to AC motor drives and presents a vision for motor drive technology. The development of more efficient, more powerful electric motor drives to power the demands of the future is important for achieving energy savings, environmentally harmonious drives that do not pollute the electrical power system, and improving productivity. Yukawa wants to be an integral part of this future and hopes to contribute significantly to achieve this..
Keywords: AC, Efficient, Yukawa, significantly, facilitated. 1. Sawa, T. and T. J. Kume. “Motor Drive Technology: History and Visionfor the Future,” Keynote Speech at the 35th IEEE Power ElectronicsSpecialists Conference, 2004, Aachen, Germany. 2. Stefanovic, V.R., R. M. Nelms, R. W. De Doncker, L. J. Garces, F.Profumo, T. A. Nondahl and R. D. Lorenz. “Microprocessor Control ofMotor Drives and Power Converters,” Tutorial Course, IEEE IAS AnnualMeeting, 1992. 3. Holtz, J. and R. D. Lorenz. “Sensorless Control and Complex VectorControl Analysis of AC Drives,” Tutorial Notes, IEEE IAS Annual Meeting,1999. 4. Krug, H.P., T. J. Kume and M. Swamy. “Neutral Point Clamped Three-Level General Purpose Inverter: Features, Benefits and Applications,”Vendor Session Paper at the 35th IEEE Power Electronics SpecialistsConference, 2004, Aachen, Germany. 5. Nabae, A., I. Takahashi and H. Akagi. “A New Neutral-Point-ClampedPWM Inverter,” IEEE Trans. Ind. Applications, Vol. 17, pp. 518–523, Sept/Oct, 1981. 6. Timer, R.A. “PWM Frequency Converters in the Metal Industry,” EPEFirenze, 1991. 7. Cascone, V., L. Mantica and M. Oberti. “Three-Level Inverter DSCControl Strategy for Traction Drives,” EPE Firenze 1991. 8. Nakata, K. and K. Nakamura. “A Three-Level Traction Inverter withIGBTs for Electric Trains,” IEEE Tokyo Section, Denshi Tokyo, No. 33,1994, pp. 188–191. 9. Watanabe, E. et al. “New Inverter Drive Technology,” Yaskawa TechnicalReview, Vol. 65, No. 2, 2001, pp. 104–111. 10. Takasaki, H. et al. “High-Performance and Environmentally FriendlyGeneral Purpose Inverter Varispeed G7,” Yaskawa Technical Review, Vol.65, No. 2, 2001, pp. 122–126. 11. Yamanaka, K., A. M. Hava, H. Kirino, Y. Tanaka, N. Koga and T.Kume. “A Novel Neutral Point Potential Stabilization Technique UsingInformation of Output Voltage Vector and Currents,” IEEE Trans. Ind.Applications, Vol. 38, No. 6, Nov/Dec, 2002, pp. 1572–1579. 12. Kume, T.J., K. Yamada, T. Higuchi, E. Yamamoto, T. Sawa andM. Swamy. “Integrated Filters and Their Combined Effects in Matrix Converter,” IEEE Trans. on Industry Applications, Vol. 43, No. 2, March/April, 2007. 13. M. Venturini, “A New Sine Wave In and Sine Wave Out PowerConversion Technique that Eliminates Reactive Elements” Proc. Powercon7, 1980, pp. E3/1–E3/15. 14. Alesina, N.A. and M. Venturini. “Analysis and Design of OptimumAmplitude Nine Switch Direct AC-AC Converter,” IEEE Trans. On PowerElectronics, Vol. 4, pp. 101–112, Sept., 1989. 15. Kang, J.K., H. Hara, E. Yamamoto, T. J. Kume and M. Swamy. “OutputVoltage Distortion in Matrix Converter by Commutation of BidirectionalSwitches,” IEEE International Electric Machines and Drives Conference,2003, Madison, Wisconsin USA. 16. Ueda, Y., M. Ikeda, R. Suenaga, K. Imanishi, E. Masuda and E.Watanabe. “Development of Medium Voltage Matrix Converter,” IEEJ Annual Meeting, 2007. 17. 17.Roussel, P. “SiC Power Devices: If We Only Had a Switch,” Vol. 2, Issue5, Semiconductor Today–Compounds and Advanced Silicon, June, 2007. 18. Scofield, J., H. Kosai, B. Jordan, S. H. Ryu, S. Krishnaswami, F. Husnaand A. Agarwal. “High Temperature DC-DC Performance ComparisonUsing SiC JFETs, BJTs and Si MOSFETs,” Vols. 556–557, 2007, pp 991–994, Material Science Forums, Trans Tech Publications, Switzerland. 19. Robinson, G. “Gallium Nitride Nears Use in RF Semiconductors,”http://www.eetimes.com/story/OEG20020107S0091.V1000 Product Brochure, Yaskawa Electric Corporation, http://www.drives.com. 20. Ide, K., M. Takaki, S. Morimoto, Y. Kawazoe, A. Maemura and M.Ohto. “Saliency Based Sensorless Drive of an Adequately Designed IPMMotor for Robot Vehicle Application,” PCC Japan Annual Meeting, 2007. 21. Maemura, A., S. Morimoto, K. Yamada, T. Sawa, T. J. Kume and M.Swamy. “A Novel Method for Extending Stroke Length in Moving MagnetType Linear Motor Drive System Employing Winding ChangeoverTechnique,” International Power Electronics Conference (IPEC), Tokyo, 2005. 23. Motors,” IEEE Transactions on Industry Applications, Vol. 42, No. 3, May/June 2006. 1. Micheline Kamber, Data Mining concepts and techiniques, Second Edition, Jiawei Han University of Illinois at urbana-Champaign. 2. Data Masking overview: http://en.wikipedia.org/wiki/Data_masking . 3. Data Mining overview : http: http://en.wikipedia.org/wiki/Data_mining updated on 25th june 2014. 4. Anomaly detection: http://en.wikipedia.org/wiki/Anomaly_detection , latest updated on 24th june2014. 5. Association rule learning: http://en.wikipedia.org/wiki/Association_rule_learning, latest updated on 4th june2014. 6. Clustering : http://en.wikipedia.org/wiki/Cluster_analysis , latest updated on 18th may 2014. 7. Classification : http://en.wikipedia.org/wiki/Statistical_classification latest updated on 18th may 2014.8. Regression: http://en.wikipedia.org/wiki/Regression_analysis, latest updated on 18th may 2014. 9. Summarization: http://en.wikipedia.org/wiki/Automatic_summarization, latest u pdated on 10th june 2014. 10. Z. Huang. : “Extensions to the K-mean algorithm for clustering large data sets with categorical values”, Data mining and knowlwdge discovery, 2:283-304,1998. 12. Berkhin Pavel, A survey of Clustering data mining Techniques, Springer Berlin Heidelberg,2006. 13. Wu Xiaodan,Chu Chao-Hsien, Wang Yunfeng, Liu Fengli, Yue Dianmin, Privacy Preserving data Mining Research: Current status and key issues,Computational Science-ICCS 2007,4489(2007), 762-772. 14. Agarwal Charu C., Yu Philip S., Privacy Preserving Data Mining: Models and Algorithms, New York Springer, 2008. Abstract: In today’s world the boom of cloud computing is made possible due to the virtualization technology. This technology was invented before couple of decades but cloud computing leveraged this technology to build scalable reliable platform which can deploy many applications in the cloud. Virtualized resources come under the infrastructure as service. There are many virtualization technologies available right now in the market which includes VMware, Hyper V, LXC, Xen and KVM. KVM is also known as kernel virtualized machine as it is completely integrated into the Linux kernel itself so it is able to use many native functionalities which are available in the Linux kernel itself. KVM provides the full visualization of guests which allows guests to run unmodified. KVM is completely open source and have a strong community behind this which keeps updating the KVM. In this paper we have reviewed the KVM and studied its detailed architecture. We have also done some tests and evaluation which proves the significant upper hand of the KVM over other hypervisors available in the market. Keywords: Bare Metal Performance, Benchmarking Cloud computing, Full Virtualization, open source virtualization. 12. Jinho Hwang, Sai Zeng and Frederick y Wu, Timothy Wood “A Component-Based Performance Comparison of Four Hypervisors” IEEE Publications. Abstract: In this work, we studied the behavior and mobility of subscribers for know how distribute a telecom antenna to have a perfect signal for subscribers in a tramway that travels through a cellular network; we used a deterministic and a probabilistic method. the tramway passed into three zones (Z1, Z2 and Z3), each one is characterized by: topography, numbers of the cellular network, types of network (GSM, GPRS, UMTS ...), numbers of subscribers, types of subscribers(staffs, students, workers and others), numbers of operators (Telecom, Meditel and Inwi),numbers of antenna). We have studied statistics in deterministic and probabilistic vision of traffic telecom; the model used is approach to vehicular traffic model. Keywords: Mobility, Cellular Network Traffic, Probabilistic Model, Deterministic Model, Network Planning, Cellular Automata, Telecom Antenna. 1. M. M. Zonoozi, P. Dassanayake, “User mobility modeling and characterization of mobility patterns,” IEEE Journal on Selected Areas in Communications, September 1997, vol. 15, no. 7, p 1239-1252. 2. Plamen, I. Bratanov and E. Bonek, “Mobility Model of Vehicle-Borne Terminals in Urban Cellular Systems,” IEEE TRANSACTIONS ON VEHICULAR TECHNOLOGY, VOL. 52, NO. 4, JULY 2003. 3. H. Hassan, “Multimedia Traffic Modeling and Performance Analysis in Heterogeneous Networks,” University of Paul Sabatier – ToulouseIII, EDSYS, 18 December 2006. 4. Roger, Kalden., Ericsson Research, corporate Unit., Ericsson Eurolab Deutschland GmbH, “Mobility Management in GPRS,” Seminar Data communication and Distributed System, Winter 2003/04. 5. W. E. Leland, M. S. Taqqu, W. Willinger and D.V. Wilson, “On the self similarity nature of Ethernet traffic,”IEEE/ACM transaction on networking,vol.2, No.1,February 1994, pp1-15. 6. Mohana Dhamayanthi Kulavaratharasah, A. H. Aghvami, “Teletraffic Performance Evaluation of Microcellular Personal Communication Networks (PCN’s) with Prioritized Handoff Procedures”, IEEE Transactions on Vehicular Technology, January 1999, vol. 48, no. 1, p 137-152. 7. D. E. Wolf, M. Schreckenberg and A. Bachem, (eds.) Traffic and granular flow, (World scientific,Singapore, 1996). 8. S. Tabbane, “Ingénierie des réseaux cellulaires,” HERMES SCIENCE PUBLICATIONS - ISBN : 2-7462-0550-5 ;01/10/2002. 9. D. Helbing, Rev. Mod. Phys. 73, 1067 (2001). 11. H. Spohn, “Large Scale Dynamics of Interacting Particles” (Spinger, Berlin, 1991). 12. T. M. Ligget, “Interacting Particle Systems,” (Spinger, New York, 1985). 13. H. Dahmouni, B. Morin and S. Vaton and, “Performance Modeling of GSM/GPRS Cells with Different Radio Resource Allocation Strategies”, IEEE WCNC, New Orleans, 2005. 14. H. Dahmouni, D. Rossé, B. Morin and S. Vaton, “Analytical Model for performance Evaluation of GPRS/EDGE Multi-service Networks”, 7th IFIP International Conference on Mobile and Wireless Communications Networks, Marrakech, Morocco, 2005. 16. S. Wolfram, “Theory and applications of cellular automata,” (World Scientific, Singapore, 1986). 17. D. E. Wolf, M. Schreckenberg and A. Bachem, (eds. ), “Traffic and granular flow,” (World scientific,Singapore, 1996). 18. K. Nagel and M. Schrenckenberg, J. Phys. I (France) 2, 2221 (1992). 19. Schadchneider and M. Schreckenberg, J. Phys. A 26, 1679 (1993). 20. O. Biham, A. A. Midelleton and D. Levine, Phys. Rev. A 46, R6124 (1992). 21. A.Ayari, M.Ayadi, H.Khedher, H.Ez-Zahraouy. , S.Tabbane, “Modeling of cellular network subscriber mobility”, AICT 2009 (the fourth advanced international conference on telecommunication); Venice/Mestre, Italy, May 24-28 , 2009. Culture Centre, Aalborg, Denmark, 17-20 May, 2009. 23. Mierswa, Ingo and Wurst, Michael and Klinkenberg, Ralf and Scholz, Martin and Euler, Timm : YALE: “Rapid Prototyping for Complex Data Mining Tasks”, in Proceedings of the 12th ACM SIGKDD International Conference on Knowledge Discovery and Data Mining (KDD-06), 2006. 27. L. Breiman, J. Friedman, R. Olshen, C. Stone: CART: Classification and RegressionTrees, Wadsworth International, 1984. 28. R. Quinlan: C4.5: Programs for Machine Learning, Morgan Kaufmann Publishers Inc.,1993. 29. Daniel T. Larose (adaptation française T. Vallaud): “Des données à la connaissance :Une introduction au datamining” (1Cédérom), Vuibert, 2005. 30. F. Spitzer, Adv., Math. 5, 246 (1970). 33. B. Derrida, E. Domany, D. Mukamel, J. Stat. Phys. 69, 667 (1992). 34. G. Schutz, E. Domany, J. Stat. Phys. 72, 277 (1993). 35. D. Zighed, R. Rakotomalala: Graphes d'Induction --Apprentissage et Data Mining, Hermes, 2000. 36. B. Derrida, M. R. Evans, V. Hakim, V. Pasquier, J. Phys. A 26, 1493 (1993). 37. T. Nagatani, J. Phys. A 26, 11015 (1993). 38. N. Boccara, H. Fuks, Q. Zeng, J. Phys. A 30, 3329 (1997). 39. S. C. Benjamin, N. F. Johns and P. M. Hui, J. Phys. A 29, 3119 (1996).40. T. Nagatani, Phys. Rev. E 48, 3290 (1993). 41. T. Nagatani, Physica A 233, 137 (1996). 42. Skowron, A., and Rauszer., C. “The discernability matrices and functions in information systems. In intelligent decision support: Handbook of applications and advances of Rough Sets theory”. (1992), 331–362. 43. Slowinski, R. Handbook of Applications and Advances of the Rough Sets Theory, intelligent decision support. ed. Kluwer Academic Publishers, Dordrecht, 1992. Abstract: the objective of this study was to determine the suitability of the use of language processing ATL model and the need to implement a process of translating a UML model into a CWM model. Through the experiment here, we could provide more answers. First, the main effort of implementation is a clear and precise definition of source and target metamodels used in processing. Second, we will show that the upstream and downstream operations of calculation could be made of the same language. 1. RUMBAUGH, James, JACOBSON, Ivar, et BOOCH, Grady. Unified Modeling Language Reference Manual, The. Pearson Higher Education, 2004. 2. POOLE, John, CHANG, Dan, TOLBERT, Douglas, et al. Common warehouse metamodel developer's guide. John Wiley & Sons, 2003. 3. ATL Reference manuals: User Manual, Starter Guide, Installation Guide and the ATL Virtual Machine Specification. Available http://www.eclipse.org/gmt/atl/doc . Abstract: distribution system is prone to failures and disturbances due to weather related issues and human errors. The distributed generation is expected to play a key role in the power system. The reliability of the power supply can be improved in the presence of distributed generation (DG). In this paper, general assessment of the impact of distributed generation (DG) on the distribution system reliability is presented. The reliability improvement is measured by reliability indices. A typical case study is presented where distribution system reliability indices are calculated for an existing system without DG and compared with insertion of DG in the system. 1. Roy. Billinton, Ronald N. Allan, Power-system Reliability in Perspective, IEE J. Electron. Power, vol.30, pp.231-236, March 1984. 2. Kjolle G, Rolfsegn L, Dahl E, “The economic aspect of reliability in distribution system planning”, IEEE Trans. Power Delivery, Vol. 5, No. 2, 1990. 4. Blackburn Lewis J. Protective Relaying: Principles and Applications, Second Edition. Marcel Dekker, 1998. 6. Brown, R.E. ; Freeman, L.A.A., "Analyzing the reliability impact of distributed generation," Power Engineering Society Summer Meeting, 2001.IEEE, vol.2, no., pp.1013-1018 vol.2, 2001. 7. Fotuhi-Firuzabad, M.; Rajabi-Ghahnavie, A., "An Analytical Method to consider DG Impacts on Distribution System Reliability," Transmission and Distribution Conference and Exhibition: Asia and Pacific, 2005 IEEE/PES , vol., no., pp.1-6, 2005. 8. Yun, S.-Y. ; Kim, J.-C.; Moon, J.-F.; Park, C.-H.; Park, S.-M.; Lee, M.- S., "Reliability evaluation of radial distribution system considering momentary interruptions," Power Engineering Society General Meeting, 2003, IEEE , vol.1, no., pp.-485 Vol. 1, 13-17 July 2003. 9. McDermott, T.E. ; Dugan, R.C., "Distributed generation impact on reliability and power quality indices," Rural Electric Power Conference, IEEE, vol., no., pp.D3-D3_7, 2002. 10. Allan, R.N. ; Billinton, R.; Sjarief, I.; Goel, L.; So, K.S., "A reliability test system for educational purposes-basic distribution system data and results," Power Systems, IEEE Transactions on , vol.6, no.2, pp.813-820, May 1991. 11. Billinton R., Kumar S., Chowdhury N., Chu K., Debnath K., Goel L., Khan E., Kos P., Nourbakhsh G., Oteng-Adjei J. “A reliability test system for educational purposes: Basic data”. IEEE Trans.Power systems, Vol. 4, 1989. 12. Allan R. N., Billinton R, Sjarief I., Goel L., So K. S. “A reliability test system for educational purposes: Basic distribution system data and results”. IEEE Trans..Power systems, Vol. 6, No. 2, May 1991..
Abstract: The concept of open ground building (OGS) has taken its place in the Indian urban environment due to the fact that it provides the parking facility in the ground storey of the building. The cost of construction of this type of building is much less than that of a building with basement parking. Surveys of buildings failed in the past earthquakes show that this types of buildings are found to be one of the most vulnerable. The majority of buildings that failed during the Bhuj earthquake (2001) and Gujraat earthquake were of the open ground storey type. The collapse mechanism of such type of building is predominantly due to the formation of soft-storey behavior in the ground storey of this type of building. The sudden reduction in lateral stiffness and mass in the ground storey results in higher stresses in the columns of ground storey under seismic loading. In conventional design practice, the contribution of stiffness of infill walls present in upper storeys of OGS framed buildings are ignored in the structural modelling (commonly called bare frame analysis). Design based on such analysis, results in under-estimation of the bending moments and shear forces in the columns of ground storey, and hence it may be one of the reasons responsible for the failures observed. After the Bhuj earthquake took place, the IS 1893 code was revised in 2002, incorporating new design recommendations to address OGS framed buildings. According to this clause 7.10.3(a) of the same code states: “The columns and beams of the soft-storey are to be designed for the multiplication factor of 2.5 times the storey shears and moments calculated under seismic loads of bare frame”. The prescribed multiplication factor (MF) of 2.5, applicable for all OGS framed buildings, is proved to be fairly higher and suggests that all existing OGS framed buildings (those designed to earlier codes) are highly vulnerable under seismic loading. This MF value however does not account for number of storeys, number of bays, type and number of infill walls present, etc and hence it is independent of all of the above factors. Present study deals with various aspects related to the performance of OGS buildings. The values of magnification factor recommended in literatures vary from 1.0 to 4.8 (Kaushik, 2009).The main objective of present study is the study of comparative performance of OGS buildings designed according to various MFs using nonlinear analysis. As the more realistic performance of the OGS building requires the modelling the stiffness and strength of the infill walls, the stiffness and strength of the infill walls also considered. The variations in the type of the infill walls using in Indian constructions are significant. Depending on the modulus of elasticity and the strength, it can be classified as strong or weak. The two extreme cases of infill walls, strong and weak are considered in the study. The behavior of buildings depends on the type of foundations and soils also. Depending on the foundations resting on soft or hard soils, the displacement boundary conditions at the bottom of foundations can be considered as hinged or fixed. As the modeling of soils is not in the scope of the study, two boundary conditions, fixed and hinged, that represent two extreme conditions are considered. Keywords: infill walls, diagonal strut, open ground storey, pushover analysis, High rise building. 1. A. Asokan, (2006) Modelling of Masonry Infill Walls for Nonlinear Static Analysis of Buildings under Seismic Loads. M. S. Thesis, Indian Institute of Technology Madras, Chennai. 2. Al-Chaar, G., M. Issa and S. Sweeney (2002) Behaviour of masonry infilled non-ductile RC frames. Journal of Structural Engineering. American society of Civil Engineers. 3. Chopra A. K. (1973) Earthquake resistance of buildings with a soft first storey. Earthquake and Structural Dynamics. 6. Holmes, M. (1961) Steel frames with brick and concrete infilling. Proceedings of Institution of Civil Engineers. 7. IS 1893 Part 1 (2002) Indian Standard Criteria for Earthquake Resistant Design of Structures, Bureau of Indian Standards, New Delhi. 9. Kanitkar, R. and V. Kanitkar (2004) Seismic performance of conventional multi-storey buildings with open ground storey floors for vehicular parking. The Indian Concrete Journal. 10. Karisiddappa, (1986) Effect of position of openings on the behaviour of infilled frames. M.Tech Thesis. Indian Institute of Technology Madras, Chennai. 12. Panagiotakos, T. B. and Fardis, M. N. (2001) Deformation of reinforced concrete members at yielding and ultimate. ACI Structural Journal. 13. S. B. Smith and C. Carter, (1969) A Method of Analysis for Infilled Frames. Proceedings of Institution of Civil Engineers. 14. Subramanian, N. (2004) Discussion on seismic performance of conventional multi-storey building with open ground floors for vehicular parking by Kanitkar and Kanitkar. The Indian Concrete Journal.